When it comes to makeup and skin care, Koreans have a rich history, dating back to thousands of years. One of the departments in which Korean cosmetics and skincare shine is the best korean foundation. Unlike other makeup products, Korean foundation and other makeup brands are extremely versatile. It is because it is suitable for all skin types, providing the necessary amount of hydration and moisture. Moreover, Korean cosmetic and makeup brands, are not as heavy as some Western products. If you prefer a light, but impactful look, Korean foundations such as bb creams are the perfect fit for you. Since there are so many options out there, we have compiled a list of tips, advice, and products that will surely help you out. Here is how to find the best Korean foundation. In the last few years, Korean makeup has been slowly getting more traction in the West. There are several differences between these two styles. They are mainly related to what function makeups serves rather than aesthetics. Generally speaking, Korean makeup has a certain subtlety to it, and it emphasizes skin care simplicity over bold colors and shapes. This is not saying one style is better than the other each is good, and bad, in their own different ways. What Makes a Good Cushion Foundation? Most cushion foundations are mixed with many skin care benefits like high sun protection factor or SPF, as well as anti-aging and hydrating ingredients to protect sensitive skin and dry skin. 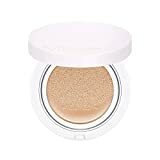 A cushion foundation also helps to minimize the number of base products that people might use in their makeup routine. Also, most cushion foundations can serve as a concealer too, thus the right ingredients should be present in the mix. The right packaging also helps in a fuss-free bb cream application that can save lots of time, especially on a hectic schedule. 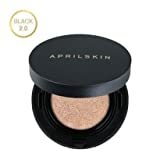 How to Use A Cushion Foundation? After buying a Korea brand bb cream, you’re probably excited to use it to recreate the flawless and natural look that Korean superstars. Although Korea-branded cushion might seem easy to use, the wrong application will result in an uneven coverage or the skin tone may not match. Gently Press the Applicator Into the Cushion: avoid pressing the puff applicator too hard may end up with excess product. This will make blending a hassle and a high possibility of having a cakey texture. Just press gently and make sure a small amount of product is picked up and spread evenly onto the applicator puff. Tap the Puff to Your Skin: to get the natural look, gently tap the foundation all over your face. For hard-to-reach areas like the sides of your nose, you can mold the puff to stick to your finger for easier bb cream application. Brush and Fingers: you can use your fingers or a makeup brush if needed in blending out the edges for a more refined and even finish. 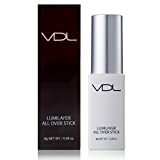 Putting on the Layers: blemishes, large pores or uneven skin texture needs more coverage. Layer on the product to produce a flawless finish. Powdering for A Matte Look: some cushion foundations have a dewy finish which oily skin users don’t want. But, it does not mean you cannot use the product if you have already purchased it. What you can do is lightly brush a thin layer of finishing powder for that matte and enhanced shine look. If you want to get the natural “no makeup” look, always begin with a light hand. Cushion foundations are normally buildable in coverage, so you don’t have to worry about the blemishes or pores still being visible after a single application. Layering also ensures that the foundation sticks to the skin closely extending its wear throughout the day. As such, without requiring any more convincing on why you should include a cushion foundation in your daily makeup essentials, let’s look at some of the top-selling cushion foundations by Korean brands to help you decide the right one for you. What is the best Korean foundation in the market today? In this article, we will be focusing specifically on Korean foundation. If you want more technical details and recommendations related to Korean makeup foundation. Do not hesitate to check out Beauty Essential, a top-quality website specialized in skin and beauty care. If you are the kind of person who wants their foundation to last the entire day, protect your sensitive skin and improve your dry skin, then you will surely appreciate the Etude House Double Lasting Foundation. (it is in the name, after all). Like most Korean Foundations, this one is extremely light and very easy to spread, offering full coverage without preventing your skin from breathing. This particular foundation can last up to 24 hours with little to no intervention on your part. If you will not have to worry about touching up every few hours. For the finish and to blend graciously with your skin, make sure to use buff it with a brush. 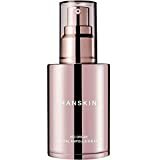 The Hanskin Bio Origin Royal Ampoule is a top-quality product combining the good things about BBcreams and Korean foundations into one. The gracious, must-have package is thick, offers SPF and yet delicate texture of BB creams, with the coverage of your typical Korean foundations. This interesting combination is thanks to its innovative formula, which is the hydration and pigmentation. The substance contains royal honey extract, niacinamide, squalene, and other beneficial ingredients that nourish and hydrate the skin. Moreover, due to the fact that it is rich in antioxidants, specifically, omega 3, 6, and 9), your skin gets the amount of moisture needed by dry skin. Be flawless and be glamorous! If you like how convenient and easy to use BB cushion is, but you are still unsatisfied with the coverage. The Banila Co It Radiant CC Melting Foundation might be just the thing for you because it checks all the boxes. If you will get the same cushion packaging, only this time with double the coverage. The name of this particular brand is inspired by the foundation’s creamy texture. It melts and blends so flawlessly into the skin that you will not even notice it. As a side note, if your skin type is dry, do not forget to properly moisturize your skin before because it has a matte finish. Myconos an upcoming luxury beauty brand from Korea. Their products are a little on the expensive side, but not to the point at which their prices are ridiculous. One of their more interesting products is the Myconos Cushion Compact. Similar to the Banila (which we have covered in the previous entry), it has a liquid, almost creamy texture. With the formula itself being an interesting combination of CC and BB cream. And trust us, your skin will feel this interesting combination – being a whitening formula and SPF protection at its core. It will add an appealing shine to your face, without looking too oily and overdoing it. From a coverage perspective, it sits somewhere in the middle. But with the extra benefit that you can concentrate on the spots that you feel like are have the wrong color or show imperfections. If you are the kind of person who likes the idea of foundation, but you do not want to bother too much with it. Then the Missha M Magic might be just the thing you are looking for. Because it contains a formula called Micro Cover Pigments, It is perfect for covering dark spots and blemishes. But where this product truly excels is in the sun protection department, because it boasts an SPF of 50. On top of all that SPF protection, because the formula consists of baobab extracts and bamboo water, you can expect the dewiest of finishes, with a soothing and relaxing effect to your skin thanks to the witch hazel. Korean foundation products are slowly gaining momentum, and more and more people are realizing how good they are. One of the best things about them is that they offer the same coverage, without providing your face with excessive shine or an oily skin look. If you want a subtle, but relatively bold look, and you like formulas with dewy textures, the products we have here are just the right fit for you.